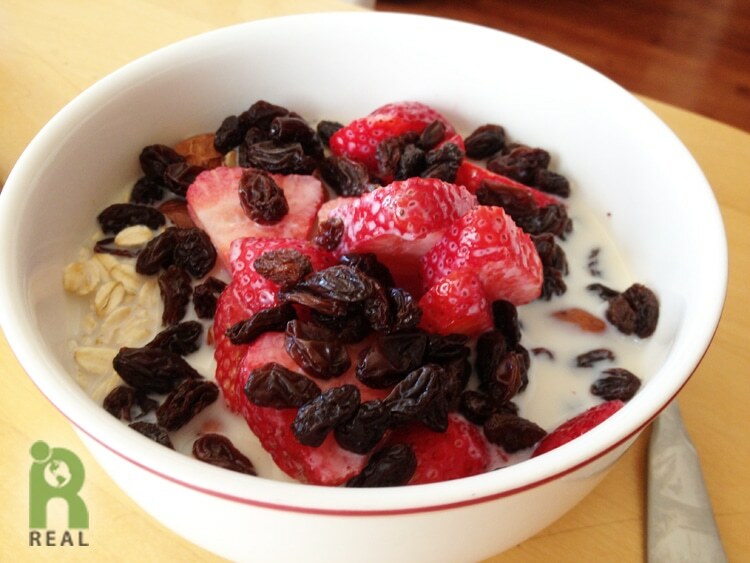 Breakfast: Rolled Oats with Raisins, Almonds, Soy Milk and Fresh Strawberries. I am going to get my fill this summer of organic Fresh Strawberries grown so close by to where we are staying in California. What a treat! 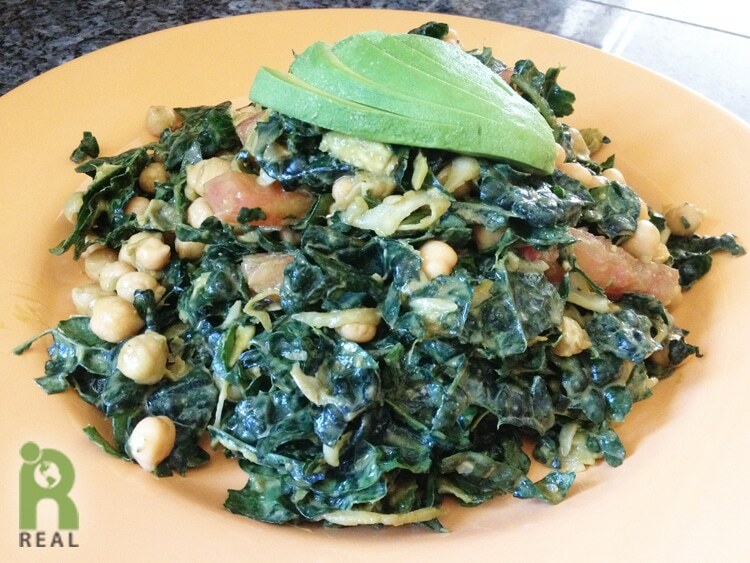 Lunch: Gary made an amazing Kale Salad with Chick Peas, Tomatoes, Raw Sauerkraut and Tahini Dressing. I told him it was the best I had ever had. It kept us chewing for a long time, the salad that keeps on going. It kept us satisfied for a long time too. Tea Break: It’s the Obon Festival everybody! 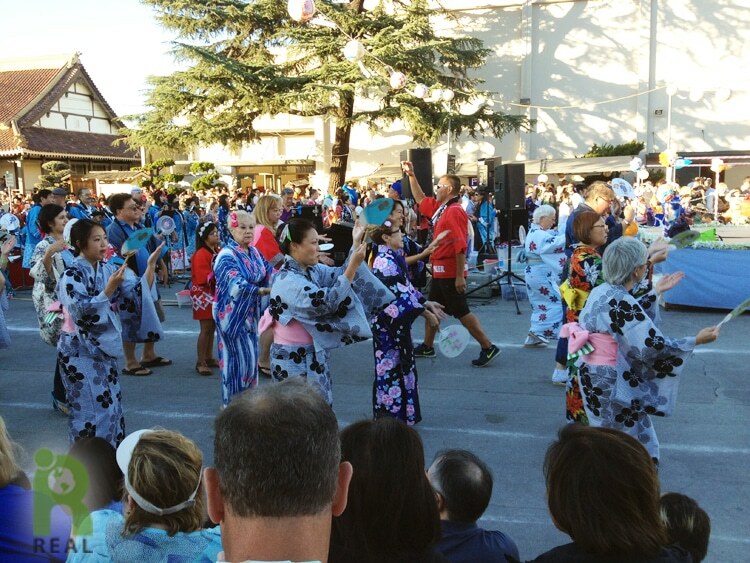 A time where “generations of families and friends come together and enjoy a rich cultural experience in one of the three remaining Japantowns in the United States.” Not so long along, less than 75 years ago, the U.S. government imprisoned 127,000 Americans because they were of Japanese ancestry. Now these Americans and their descendants are celebrating their history and their story with all Americans. It was an enlightening day for the community. I couldn’t help but think about how we continue to fear and hate people, people who are “different”. We are all the same and we all want the same things, clean air, clean water, healthy food, a home to live in, opportunity to grow and learn and to live out our lives in peace. Stop the exploitation of all living beings. Human or nonhuman, it’s time to love. Love is the only answer. Go vegan everybody! 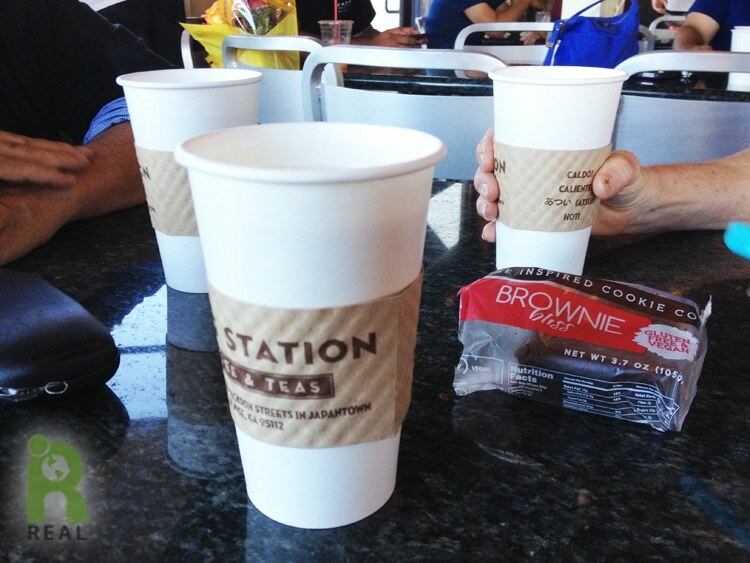 We went over to Roy’s Station right in the heart of Japantown for a tea break. I got the Mate Chino with steamed soy. Gary’s cousin Nancy was hungry and grabbed a sweet treat which was vegan and gluten-free. Dinner: For dinner, we passed up the Japanese restaurants in Japantown for another happy meal at the Vegetarian House with cousin Nancy and her husband Wade. Gary’s sister-in-law Tammy and nephew Josh joined in the fun. 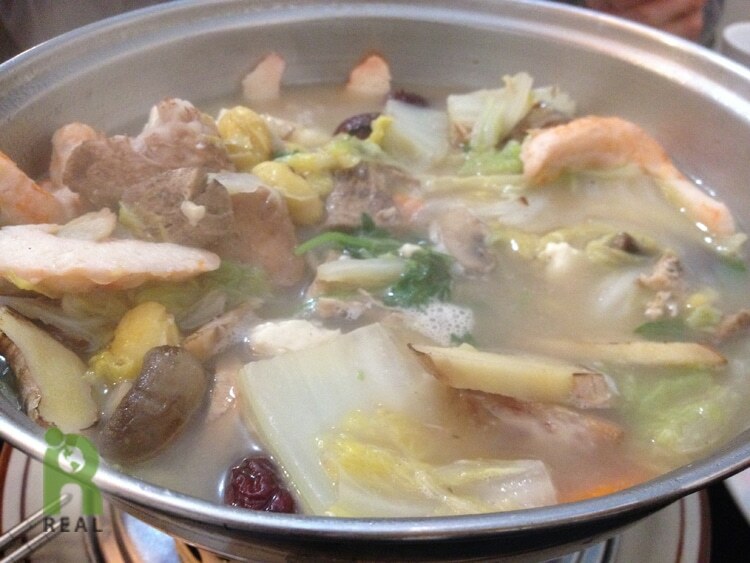 I wished there was a version of Cha Ya here in San Jose, the Japanese vegan restaurants in San Francisco and Berkeley. 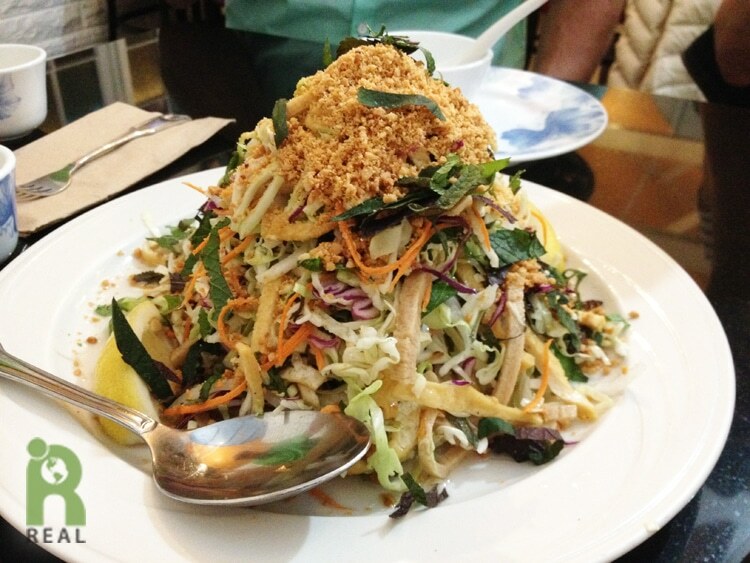 We began with the Heavenly Salad which seemed more heavenly, if that is possible. 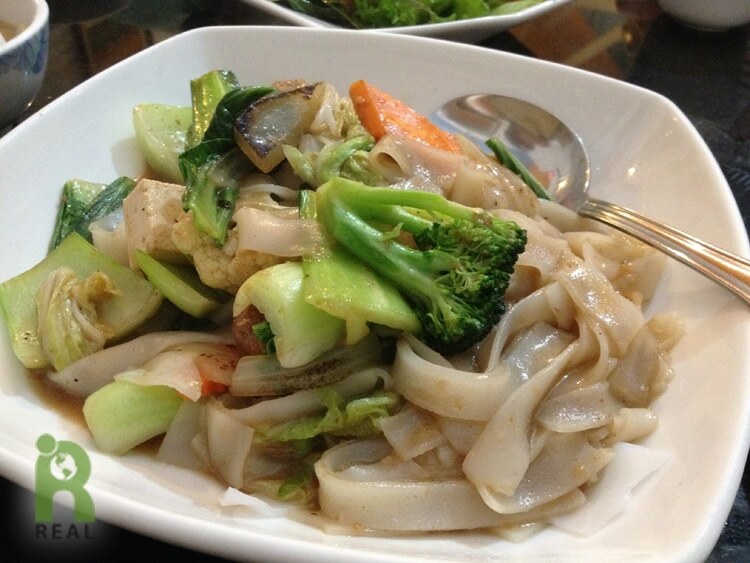 The dressing typically is a little sweet and this time it was not, which I preferred. A big Flying Buddha was next and everyone filled their small bowls several times over. No those aren’t real shrimp, they are made from Konjac which is made from a root! 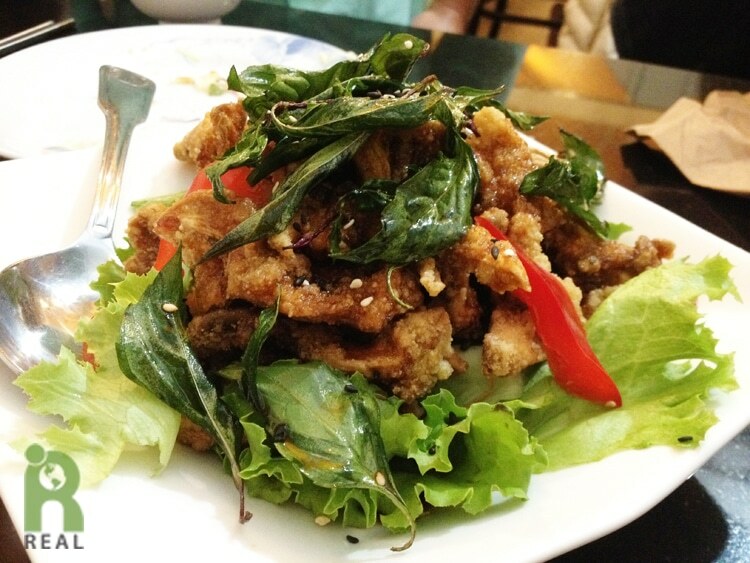 We finally got to try the Crispy Mushroom Delight, deep fried oyster mushrooms, topped with basil, sesame seeds and a sweet sour brown sauce. I never wanted to order it as my meal because it’s deep fried. Here was the chance I was waiting for. With others to share, it was an opportunity to try and taste it. Yum. Gary was brave and tried something new too. He ordered the Chow Fun. It was fun!